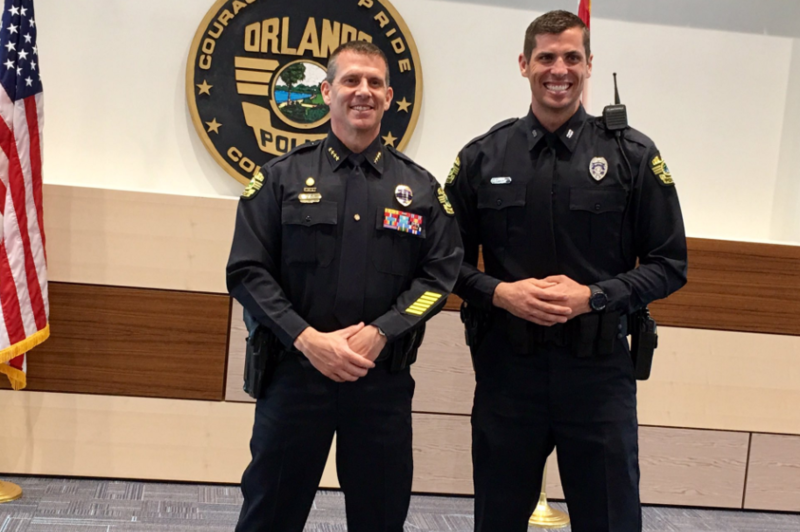 The Orlando Police Department swore in 12 new officers today, one of which many Orlando City fans may be familiar with. Former Orlando City goalie Talmon "Tally" Hall, who played for the Lions in 2015 and had a stint at D.C. United, joined the new recruits at the swearing in ceremony. Hall was traded to Orlando City on October 28, 2014, and made his first debut for the Lions in May of 2015. At the end of the 2015 season, Hall was named Fans' Player of the Year at the Orlando City Foundation Awards Gala. Hall announced his retirement from Major League Soccer in July 2016. Another former athlete, Curtis Holcomb, was also among the team of recruits sworn in. Holcomb played football for Florida A&M and was drafted by the San Francisco 49ers in 2011. 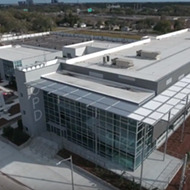 The 12 officers sworn in on Thursday were the first to be sworn in at the Orlando Police Department's new headquarters on Orange Blossom Trail, which officially opened its doors on March 22.